If you do find yourself in the situation of a first DUI or multiple DUI convictions, you need to know the consequences ahead of time so you can protect yourself. Being aware of the punishment for each DUI may help you stop Driving Under the Influence of alcohol all together because of their severity. Every time you get an additional DUI charge, the penalties get harsher, ultimately leading to a felony. 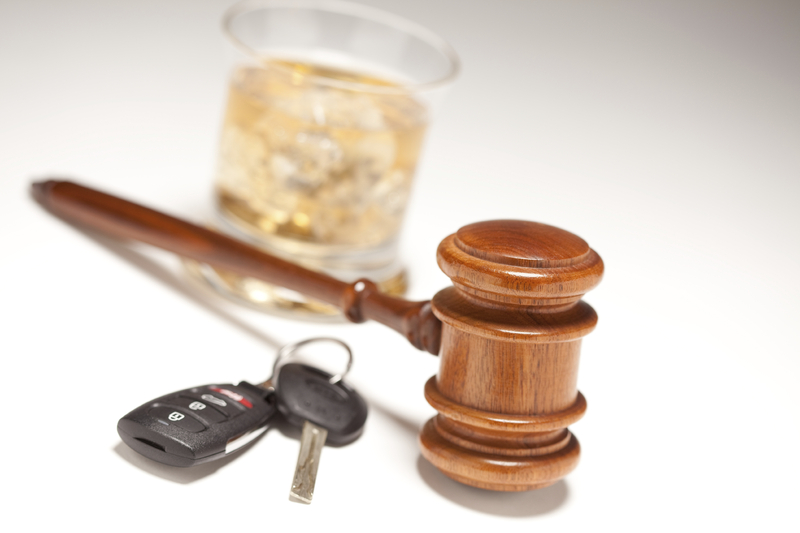 Having only one DUI offense on your record has the lowest level of consequences. You are considered a first time offender and the DUI is classified as a misdemeanor on your record. In most cases, your license will be revoked by the Colorado Department of Revenue. The amount of time your driver’s license could be taken away depends on the situation. Once you are arrested with your first DUI, you need to request a hearing in writing with the DMV within seven days or you will automatically lose your license for nine months to a year depending on the outcome. Other penalties you may face include two years of probation, jail time for up to one year, fines up to $1,500, and community service up to 120 hours, which are all criminal penalties. The lowest level punishment you could receive are administrative penalties with license suspension and 12 points taken off your license. On a second conviction for a DUI, the penalties will begin to get worse. After a first DUI, Colorado law has a 5 year look back period, so the judge has the option to consider you for a felony charge if your second charge happens within that 5 year period, but in most cases, you will receive a misdemeanor charge. There is also no expungement of convictions, so prior DUIs can be seen by the courts, no matter what, even if it has been sealed, it will never be taken off your record. At the second conviction, your license will be revoked for no less than one year, but this can increase dependent on how much time it’s been since your first DUI. Even though every new verdict is treated differently, in this situation, the courts can still consider sentencing you to criminal charges including probation, jail time, fines, and community service. All punishments can be increased if your Blood Alcohol Content is over 0.15 percent and even more if over 0.20 percent. For a long time, most DUI charges by Colorado law were considered misdemeanors. At a third DUI charge, you are a repeat offender and can be considered for more than a misdemeanor, but this is not required. However, the punishment does begin to get severe and more criminal charges are put in place. You will be required to serve a minimum charge of sixty days in jail, up to one year. The law says that any DUI jail time must be served completely with no early release. With the third charge, you could lose your license for up to five years; this depends on how long since your last two charges happened. In most cases, Colorado courts will hit you with the highest fines allowed for a DUI, along with possible probation and community service. This will all be put on your permanent record and can result in some serious consequences, even making it hard to find a job. As of August 5th, 2015, Colorado passed a bill into law making a fourth DUI conviction a definite felony charge and no longer only a misdemeanor. You can be sent to a state prison for two years and up to six years with no option to get out early. This charge is so harsh that you can also be fined up to $500,000. In any drunk driving case, if the situation included a hit and run, injury or death, property damage or a high enough BAC, it can turn into a felony by the courts. However, the charge for a fourth DUI in Colorado will be considered a Class 4 Felony. In any case, it is in your best interest to never drink and drive to avoid any and all of these punishments detailed per DUI charge. No matter what state you are in, the consequences are strict and not worth driving under the influence of alcohol. Buzzed driving is drunk driving. If you have multiple DUI charges on your record and need an expert Boulder DUI Attorney to help fight the severe consequences you may face, contact Clark Law Firm for a free consultation before it’s too late!